Within the project of extending la bibilothèque de Montarville (Boucher-De la Bruère), the Boucherville City Council, the promoter, organized this architectural competition in two phases. The objective was the selection of a winning project and inviting its author to contribute to its execution. The promoter addressed a call for candidates exclusively to the members of the Ordre des Architectes du Québec in order to select the finalists who will be invited to participate afterwards. The first phase consists of a selection procedure, within the province, leading to three finalists upon evaluation of all architects' submitted profiles (excluding any sketches). The second phase allow these finalists to present their projects to the jury supported by a technical committee, followed by the evaluation of the projects and the selection by the promoter of the winning firm. 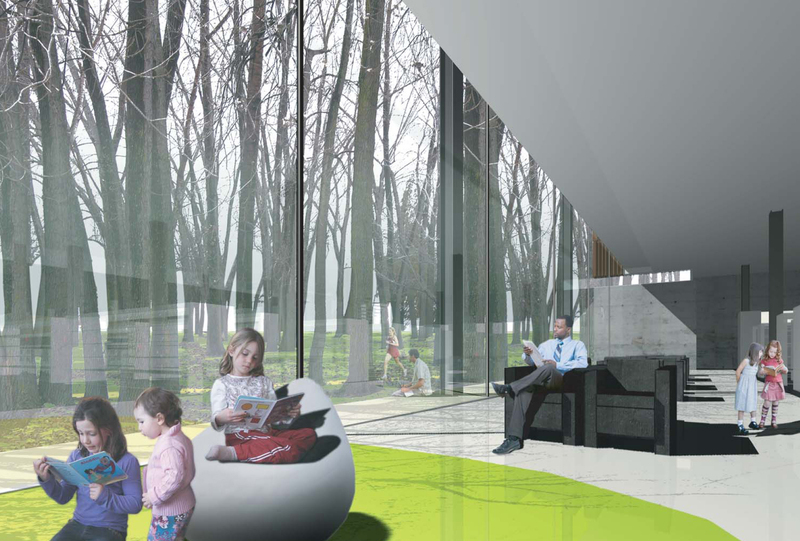 The envisaged extension of the Bibliothèque de Boucherville anticipates an additional provision of a 1 612 m2 as well as the internal renovation works of the existing part of 1 702 m2. The total budget for the overall construction work is 2,750,000 $ exckuding taxes.